The difference between primary and high school can seem vast and Melville SHS is keen to make the transition for your child seamless. While most students will find the shift exciting, a few will no doubt find high school quite different. Our job is to make the process of adjusting as safe and comfortable as possible. At Melville our teachers, the student services team and the school executive have spent many hours researching and developing initiatives to make the transition process smooth and educationally rewarding. Online ordering is available. You simply follow the prompts to create a parent’s account and link it to Melville Senior High School. The link for the online system is https://myschoolconnect.com.au/mshs. Click HERE for instructions on how to order your lunch online and top up your My School Connect account. Please feel free to contact the school if you wish to discuss your child’s progress. You may do this by e-mailing the teacher or by phoning or writing to the school and making an appointment. The preferred method to contact parents is using the Connect learning management system, which allows teachers, parents and students to share information and liaise with each other. More information is HERE. It is VITAL that parents join Connect and update their email address. The appropriate Year Coordinator is generally the best person to contact for general concerns. If your question is subject based and the teacher is unavailable then you may also wish to talk to the appropriate Head of Learning Area, who can also be contacted if you have concerns that your child’s teacher is unable to resolve. Please make sure that an appointment time is arranged before arriving at the school. On occasion, the school may need to contact parents or guardians urgently but may be hindered by out of date contact information. Parents and guardians are asked to keep the school informed immediately if there is a change of address, email address, phone numbers, mobile contacts or emergency contact information. If contacting your child by mobile phone, please do so only during recess and lunch times. In the case of an emergency, please contact Student Services on 6274 1321 and a message will be brought to the student’s class. We pride ourselves on creating a warm and inviting school environment. Parents are welcome to attend a school tour with prospective students to see the school in action and give them an idea of what to expect. There are two tours each term and the dates are outlined on the website. Orientation Week in term 1 with lots of fun activities and ‘getting to know you’ exercises. Although the Year 7s will be integrated within the school so they can access specialist classrooms and facilities, they also have a dedicated area for lunch and recess. This includes handball and basketball facilities, as well as a beautiful garden in which to relax. Students at Melville SHS come from across most of the south metropolitan area as well as overseas. If your child does not know anyone or is apprehensive, the school is used to dealing with these uncertainties and will be able to help them make friends with students who are in a similar situation. Footwear will be closed-in shoes only (preferably black) with no thongs, slides or ugg boots. All clothing is to be clean and neat and worn appropriately. Excessive make up or jewellery is not allowed. Official Melville Senior High School white shirts with plain white undershirts are allowed. Leggings are only to be worn under a skirt, dress or shorts. Students must change before and after physical activities. Hats and sunscreen should be worn when participating in outdoor activities. After vigorous activities students should shower. Students out of uniform will be required to borrow a uniform from Student Services (if available). All students may be requested to return home to change if out of correct uniform or parents may be contacted to bring the appropriate uniform to school. Students who for religious or health reasons may need to modify the school dress code are required to make an appointment with the Deputy Principal Student Services. Staff will be informed of any student granted a modification to the dress code. The Information Handbook and Student Engagement Policy are found HERE. Student Contributions and Charges are posted in early December. Please note that some programs and options have added compulsory costs attached. 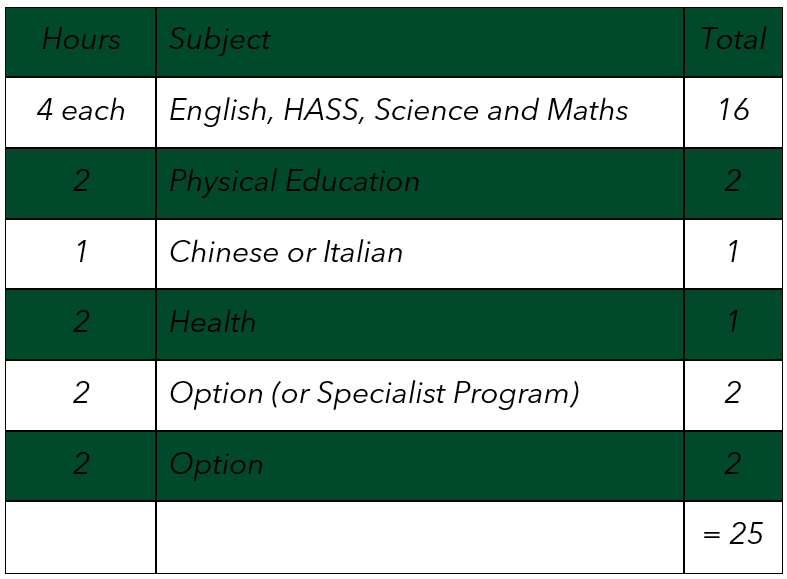 These costs are listed in the Subject Selection Handbook and are due to be paid early in Term 1 2018. The Course Handbook for Year 7 subjects is found HERE. The courses available and prices change each year. Courses in Years 7 to 10 that have a high cost associated with their provision (eg outdoor education, art, camps). Course for which there is a high cost associated with their provision (eg Specialist and Focus programs). Other optional school based activities which address broad learning outcomes and for which there is a high cost (eg graduation dinners, end of term activities such as picnics). Remaining course payments are required prior to commencement of Semester 2. If unpaid, students may be asked to switch to a cheaper option and the outstanding amount will be sent to a debt collection agency. Years 11 and 12: Compulsory charges apply to all courses. Direct to the school office, cash, EFTPOS and credit card payments are all welcome. Regular direct debits can be established if you would like to pay your school charges by instalments. Centrepay: you can choose to have a regular manageable amount deducted from your payment to pay for your child’s schooling. Information and forms regarding this free direct bill-paying service offered to customers receiving payments from Centrelink is available from the school office. Veteran’s Affairs Pensioner Concession Card (Blue only). Application forms are only available from Melville SHS. The allowance application deadline is 12 April 2019. Late applications will not be accepted. Note that students in receipt of ABSTUDY are eligible for the ABSTUDY supplement allowance, which must be applied for at Melville SHS. Other allowances are available including Boarding Away from Home Allowance and Scholarships. Information is available from the school. Contact Centrelink regarding assistance for isolated children and mobility allowance for students with disabilities aged 16 years and over. * The Department of Education’s Contributions, Charges and Fees Policy states that a school may request a confirmation charge of up to 50% of the total cost of an extra cost optional component in order that a student’s enrolment in a course be confirmed. Our school council has ratified all voluntary contributions, charges and extra cost options and has approved a 50% confirmation charge for extra cost optional components. Please phone the school on 6274 1300 to seek any clarification or assistance on any of the above matters. To assist in the different level of study needed in high school, all students and parents will be given a course outline showing what is expected for each subject. Skills in how to organise and coordinate study and homework will be outlined early in the year in homeroom classes. Year 7s are expected to complete homework nightly for each subject taught that day. This should be approximately one hour per night, five nights a week. We conduct exams in Years 7-12 and would expect exam preparation to commence in Year 7. All students receive a diary. The diary will be used as a means of communication and information booklet for students to share with parents and teachers. Parents are encouraged to help their child use the school diary to plan and develop time management and communication skills. As well as specific information about the school (uniform, good standing, attendance etc) the student diary also contains very useful sections on study skills, healthy living, essay writing, note taking etc. At Melville SHS, homework is viewed as an integral part of all subjects. Amounts vary from subject to subject. Each student should carry their school diary with them at all times to keep a record of homework deadlines. Parents of Year 7 students are requested to sign the diary weekly. As a rule, a Year 7 student should do about 1 to 1½ hours of homework five times per week. This should increase until Year 12 by which time a student should be doing three hours of homework or study per night. Despite many requests from parents it is not always possible for teachers in widely differing subject areas to confer on deadlines. You can assist your child by helping them to spread work so that all deadlines are met. Teachers attempt to avoid setting homework that is due the next day, however in some courses (e.g. maths) it is often necessary for students to complete some examples at home to reinforce principles taught in class that day. This policy provides a basis for ensuring students maintain a good level of attendance, course participation, and behaviour – all essential qualities if a student is to have the best opportunity of success in any chosen course. Students wishing to do homework or study after school may do so in the school until it closes at 4pm. Reports are issued at different times for different year groups and will be available on Connect for Years 7, 10, 11 and 12. There will then be an associated parents’ night. Mid-year reports are available to all students in Years 7 to 12 and a parent’s night is held to discuss their progress. (Refer to term calendar on the school website). These reports will reflect the grades that students have attained throughout the semester. Parents are encouraged to contact the individual teachers of their child throughout the year. End of year reports are available for students in Year 7, 8, 9, 10 and 11. These reports will reflect the grades that students have attained throughout the second semester. A Statement of Results is available for Year 12 students in Term 4. Melville Senior High School students must bring their own up-to-date iPad with keyboard case (a MacBook is also acceptable). Graphic Design Media Specialist Program students have different requirements that are outlined on the website. Your BYO iPad may be purchased from a supplier of your own choice. However, you can access the Winthrop Australia portal on the website (under About Us/Digital Devices Program) to extend payment, for 6 months interest free or a leasing option. It is recommended that the iPad be insured and have Applecare. Parents or students will need an iTunes account to access the Apps store and some selected apps will be required as part of the program. Have You Got Your 6? 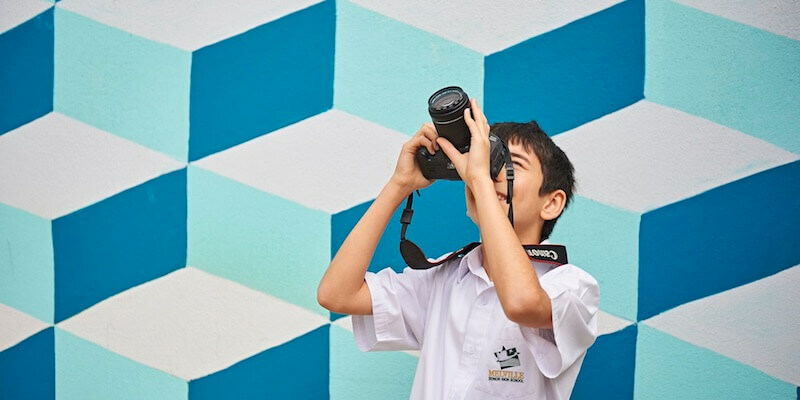 See information HERE on the Gifted and Talented program, approved Specialist Programs (Aviation, Netball and Graphic Design Media) and school-based Focus programs (Music and Academic Extension). These programs are available to Year 7 students upon gaining entry through exams, audition and/or trials taken in Year 5 and 6. The exams trials and/or interviews are conducted in Term 1 prior to the year of high school commencement. Specialist programs are taught for two sessions (2 hours) per week in Years 7 and 8, increasing to four sessions in Years 9 and 10. High school is a time where your child will undergo rapid changes. Articles on parenting ideas are available HERE. At Melville SHS we have a great team of compassionate, highly skilled staff who will make it their business to look after the individual needs of your child. Please consult the Melville SHS website calendar HERE to find out details of our next school tour so you can arrange a visit to see our facilities and ask questions about your child’s transition to high school first hand. The more you know, the less you will worry! All students will receive an Academy Card that is used to access the Learning Resource Centre (Library), as identification and is also their student Smartrider concession card. For more information about the student Smartrider card visit the Transperth website at: www.transperth.wa.gov.au. The cards cost $5 and are included in each student’s Contributions and Charges account. Students will receive the card soon after they have started the school year. Please contact the school or the Transperth Info Line on 13 62 13 if you have any further questions. Money and other valuables should not be left in unattended school bags, classrooms or change rooms. If valuables must be brought to school they are the responsibility of the student at all times. All articles of clothing and personal materials should be clearly marked. Large sums of money, jewellery, iphones/ipods/mobile phones and other items of value should NOT be brought to school. Jewellery should be worn to a minimum, e.g. necklaces, watch and small earrings. If a student does bring a mobile phone to school the student must accept FULL responsibility for its care and safety. Mobile phones must be turned off and must not be seen or heard during class time. Chewing gum, liquid paper and large textas are banned at all times due to the cost of removing the vandalism and graffiti they can cause. All lost property is held in Student Services for a period of one term. Any unclaimed items will be donated to charity. To increase the chance that lost property is found, report the loss to Student Services immediately. Public transport is widely used by most students and is encouraged. A detailed list of bus services to and from the school is available on the Melville SHS website. It has links to the many direct services and timetables. Buses arrive at approximately 8.30am. School bus stops are located at the front of the school in Potts Street. On Tuesdays, students will be supervised while waiting for the buses to arrive at 3pm due to early closing. With the increase in numbers of students attending the school, parking difficulties and traffic jams are getting worse. Parents who drive are encouraged to drop students some distance from Potts St or at a bus stop closer to your home. Most of the buses drop the students outside the school or at the overpass, so they don’t have to cross a single road. Bicycle racks are provided next to Student Services for students who wish to ride to school. The enclosure is locked during school hours. New research has found that carrying a back pack to school (15% of body weight) is good for student health and bone development. Also, getting to school independently helps student confidence and resilience. The canteen is operated by the P&C and provides nutritious morning teas and lunches. Lunches can be ordered from 8.15am to 8.35am and again at morning recess. Profits from the canteen help to provide additional amenities to the school and assist in the cost of maintaining the school swimming pool. Voluntary helpers are always required and anyone willing to assist for 2 to 3 hours per month is asked to contact the Canteen Manager on 6274 1300. The Melville Matters school newsletter is produced twice a term giving details of school activities, student achievements, P&C, canteen and Student Services news. The newsletter is posted to each family once a term to ensure that all members of the school community are kept informed. Every second edition is emailed so a current email address is important to us. 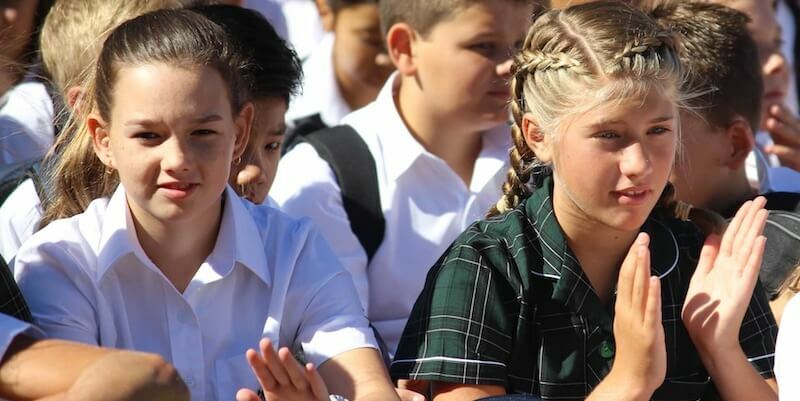 Melville Senior High School hosts an Intensive English Centre, which enrols newly arrived migrant and refugee background students aged 11.5 to 15.5 years. Students are eligible for a 12 to 24 month intensive English program in preparation for entry into mainstream schooling in their local area. Melville SHS has had numerous international students since 1998 when the program was first introduced. International fee paying students experience an enriching and stimulating learning environment with the opportunity to be part of a vibrant and multicultural school. The International Fee Paying Student Coordinator is responsible for the management and administration of the international students. All student progress is closely monitored. Attendance is checked regularly to ensure smooth academic progress. The coordinator also maintains regular contact with the teachers to ensure the well-being of students at all times. Create a school culture that emphasises the importance of education and encourages learning, task mastery and effort. Facilitate a learning environment that allows students and teachers responsibility over learning and teaching and that increases a sense of belonging. Encourage student centred learning and instruction. Model and communicate the value of lifelong learning. Create classrooms that are caring, supportive and where everyone is valued and respected. Develop resilience, build responsibility and exercise emotional regulation. Work restoratively to address and resolve conflict where possible. Taking part in establishing and reviewing the school’s objectives. Prioritising general policy directions of the school. Taking part in financial planning (including our budget). Taking part in the evaluation of the school’s performance. Determining the school’s dress code. The P&C administers, (through an Executive Committee and a number of sub-committees) the operations of the canteen, the swimming pool, improvements to the school environment and promotion of the school to the wider community. There is always room on these committees for new parents and interested members of the community. Your participation is always welcomed and appreciated. The P&C also fund improvements to the student facilities at school and over the past few years has funded many initiatives including air conditioning, computers, PA systems, uniforms and blazers, sporting trips, media equipment and stage sets. The School Dental Service (Located at Caralee Community School) continues to provide free general and preventative dental care for all enrolled students in Year 7 to 11. Your child can continue to go to the same Dental Therapy Centre attended in primary school, or you can contact a new centre if it is more convenient. Please advise the Dental Therapy Centre if you have changed your address so you can be posted a recall reminder. If you are not already enrolled, it is not too late to enrol now. Ring for an appointment. The address and phone number of your nearest Dental Therapy Centres is listed on the website under the heading “Schools-Government, Primary, Junior Primary and Pre-Primary”. For the safety of all concerned, parents are NOT TO USE the staff car park to drop off or pick up students. Upper school students who drive to school CANNOT park inside the school grounds or on Potts St but may use the free parking in Winfield Road. The school has a branch of the Emergency Services Cadet Corps. Students who join can become involved in First Aid and Emergency Response training, combined with adventure activities. For further information contact Jo Daley on 6274 1300 or Joanne.Daley@education.wa.edu.au.